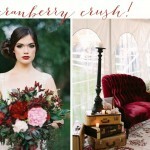 One vintage wedding trend I LOVE and have seen used as inspiration for wedding day styling is the vintage travel wedding theme. I think this look is amazing and so sophisticated when given a luxurious spin and make-over. Let’s face it, who wouldn’t want to travel the world in luxury and style!? 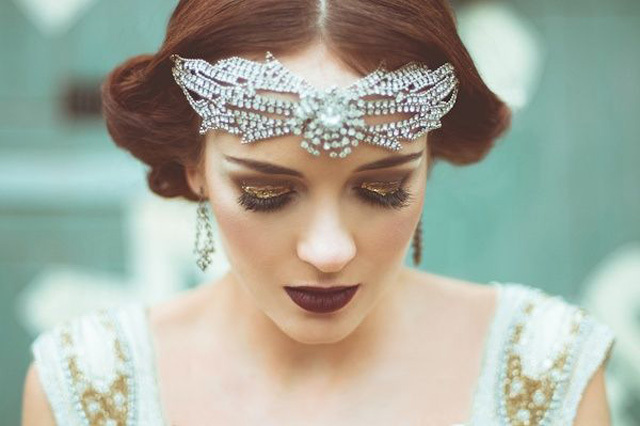 So today’s inspiration board is full of glamorous nostalgia. The delicious cranberry, cream and black colour palette with hints of sage and apricot is pure vintage luxury, and especially when you add a touch of pure molten gold! 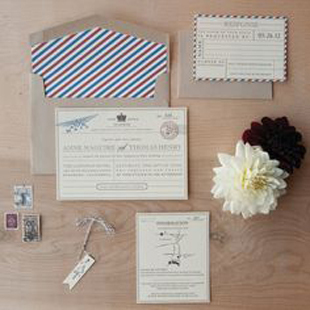 If your’e planning a vintage travel inspired wedding and want to add a touch of luxury, why not start with your stationery to set the scene. Exotic postcards from far flung places, customise them with foil gold air-mile stamps. 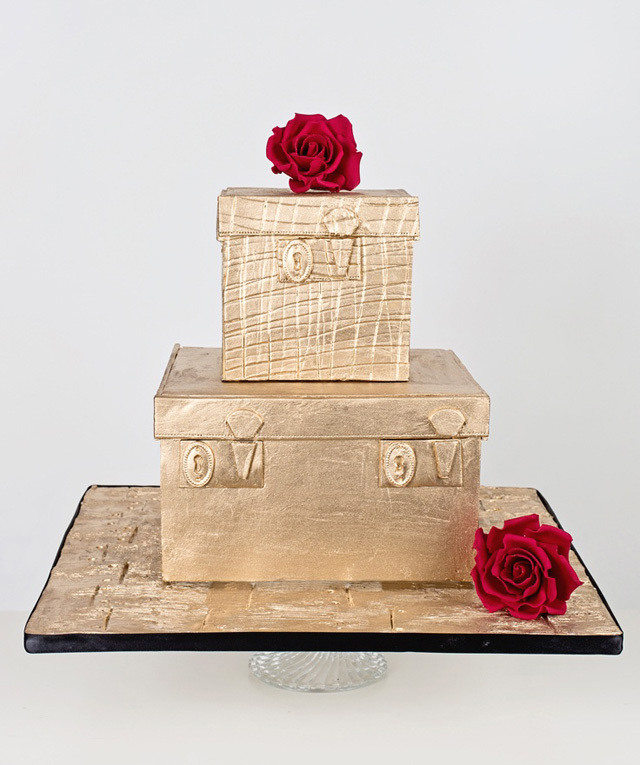 Make a style statement with your wedding cake by modelling it on designer vintage luggage. 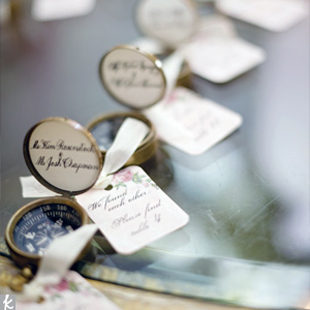 Fancy wedding favours could be customised luggage tags or compasses and how about decorating your reception tables with vintage cameras, atlas’ and vintage suitcases. 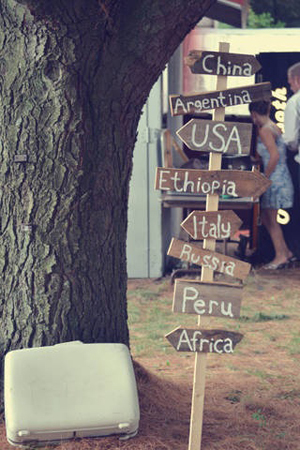 Table plans could be inspired by old style maps of the world, places you’ve travelled or would love to travel to. 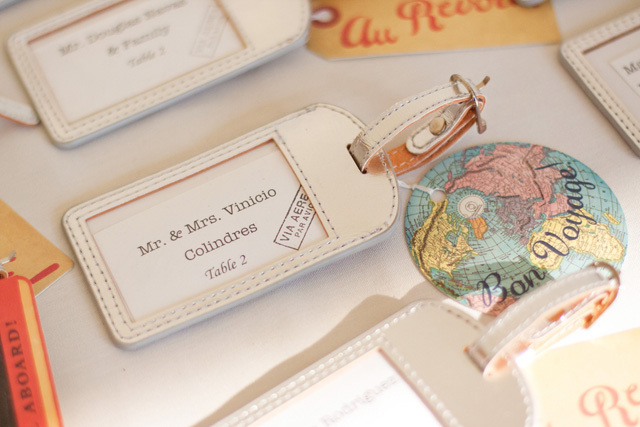 Name cards could be passport inspired for the personal touch and table names with exotic locations from around the world. 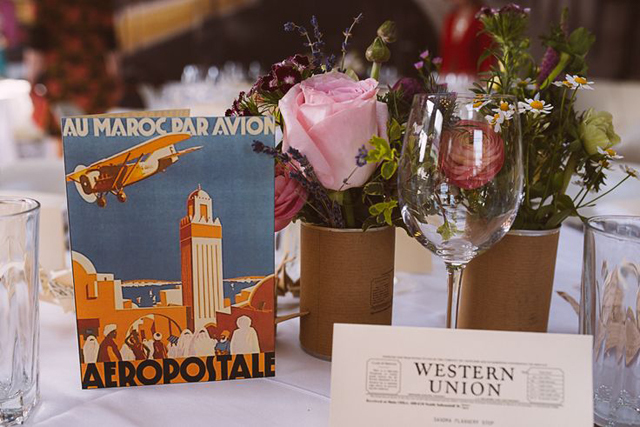 Find your wedding travel inspiration from land, by sea or by air… just ensure you and the hubs travel in vintage style. 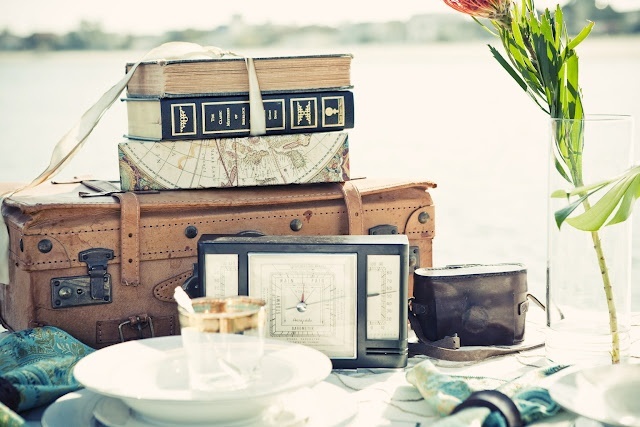 What do you most associate with luxury vintage travel? Inspire other brides to be and leave your comments in the section below.